Every day for past two years Simon Christen woke up at 5am and seeked through all the weather information to decide whether it is worth filming or not. As if the answer was yes, the filmmaker would then take a 45 minute road trip to Marin Headlands to shoot. The outcome of all this effort – breathtaking time-lapse film called Adrift. Most of the time weather conditions weren’t good enough to shoot. Although when it was good enough, the view was unspeakable. 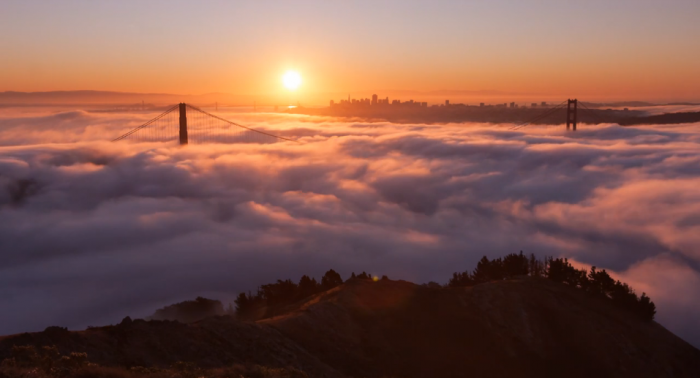 In the video you can even see fog flowing through the parts of San Francisco. Check out more of Christen’s works in his official webpage.